Control is an obvious benefit to an SMSF, but there are many other investing and taxation benefits that investors should be aware of. With the establishment and ongoing costs of SMSFs falling, technology options streamlining administration, and the superannuation member population broadening, the growth and popularity of SMSFs is unlikely to abate any time soon. There is no doubt SMSFs offer opportunities for satisfaction, enjoyment for investors, levels of control, and flexibility that is unavailable from a traditional public offer super fund. Many are drawn to SMSFs because of the control and flexibility features they offer. Compared with non-SMSFs, the investment options of SMSFs can be broader and less costly. In addition, investments can be made both directly and indirectly. A key benefit of a SMSF is that it can invest in direct and indirect investments. This is a bonus for those who enjoy investing in the share market. But while a SMSF allows trustees to invest directly, they also need to remember the importance of diversity. There is more to investing than the share market. A superannuation trustee needs to be prepared to research, review and invest in a range of asset classes if they are to have a balanced and diversified fund. Having a SMSF doesn’t mean that only direct investments should be considered. It is often sensible to have some investments in areas such as property and bonds through managed funds. The amalgamation of family member super balances can lead to the establishment of an SMSF with a healthy balance. That is why an SMSF is often called a family super fund because mum and dad and up to two kids can pool their super savings under the one structure. Tax deductible family contributions can be made to the fund and the SMSF will pay only 15 per cent tax on income, making it a good option for families looking to reduce the amount of tax that they pay across the board. An additional benefit is that when the fund pays a pension to one of its members, the income of the fund (relating to the pension capital) is tax free and the pension to the member is tax free in their hands if they are over age 60. While these tax features are not unique to SMSFs, an SMSF can be more flexible in taking advantage of these tax concessions. For example an SMSF member can have an accumulation account as well as a pension account running concurrently. 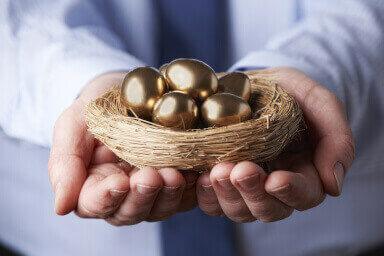 Another benefit is that SMSF assets can be segregated and divided up between member accounts, or even between members. Furthermore, excess imputation credits from Australian shares are fully refunded to a SMSF. Another advantage is that superannuation proceeds can be left to accumulate in the fund without a requirement to be drawn out, except when the member dies, when it can then be paid to the spouse as a pension. Therefore the fund can continue after the death of a member. For this reason, people with specific estate planning needs may find a SMSF provides greater flexibility in choosing how assets and funds are distributed to beneficiaries. Transferring these types of assets to a SMSF is something that cannot be done with a non-SMSF, and is a great benefit of the structure. This reason alone is often the catalyst in setting up an SMSF. Business owners wanting to own their business property can do so via a SMSF. As well as making contributions to the SMSF, the business also grows the SMSF by making rental payments. There may also be an opportunity for business owners who sell their businesses, to sell their business property to an SMSF and receive capital gains tax concessions. While there are many benefits of running your own SMSF, setting up a fund is a decision that needs careful consideration. The majority of funds are run very successfully and give the trustees everything they set out to do. But there are also responsibilities and costs, not only in terms of investment management, but also compliance obligations. The time needed on record keeping and compliance matters should not be underestimated. There a number of issues to consider in such a decision, remembering that not everyone has the time, knowledge or ability to become a SMSF trustee. Andrew Yee, director of superannuation, HLB Mann Judd Sydney.